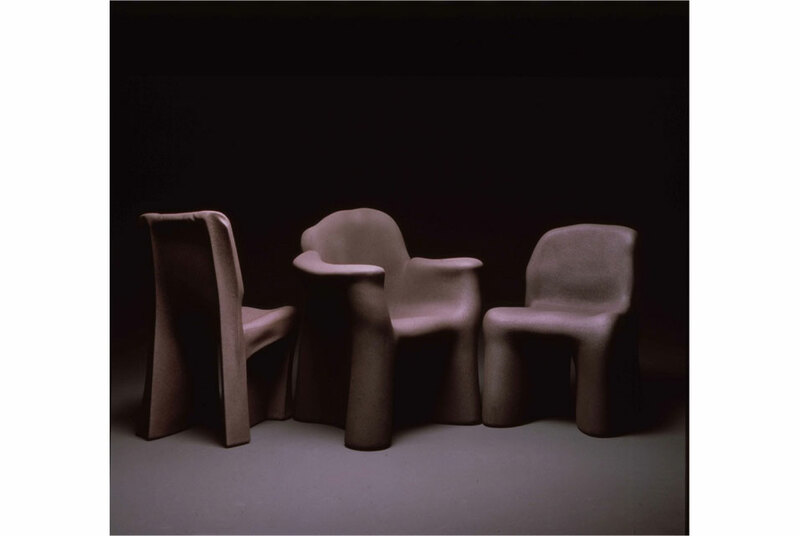 PARIS.- The first retrospective devoted to Gaetano Pesce in France for over fifteen years, presenting pieces spanning his career from 1969 to his latest designs, will be held at Sotheby’s Paris in February 2014 in association with B&B Italia. The exhibition curator will be Basia Embiricos who organised a show of his resin jewellery in December 2012. After the Pesce retrospective Le Temps des Questions at the Pompidou Centre in 1996, Pesce returns to Paris for a wide-ranging retrospective at Sotheby’s France supported by B&B Italia, featuring around forty unique, marketfresh pieces reflecting his versatile talent as an architect, designer and artist. ‘I have never hidden my love for Paris, where I lived for many years, and where my children went to school’ says Gaetano Pesce. ‘I have already had the opportunity to present my work here in the past. Now I have the pleasure of presenting a varied ensemble of pieces which, I think, capture the essence of my research, and illustrate my belief in Design’s unlimited versatility. I am honoured by Sotheby’s offer to show my work at the Galerie Charpentier. It is the first time I have collaborated with these illustrious actors of the art market, and I am sure they will enhance my work in the best possible fashion.’ Cyrille Cohen, Vice-President of Sotheby’s France, believes that ‘devoting an exhibition to this great Italian designer offers us the chance to present the work of a living artist whose designs have long embodied the spirit of an era. Gaetano Pesce has constantly renewed the language, technology and culture of materials throughout his life.’ Gaetano Pesce The multi-faceted Italian Designer, architect and artist Gaetano Pesce has always experimented with ideas, materials and modes of production to create objects full of meaning for the future. He belongs to a handful of architects who, since the late 1960s, have rejected standardization; his apparently haphazard forms eschew formal geometry. Throughout his life he has enjoyed exploiting an industrial material – resin – by manipulating it and letting it act in unpredictable ways, expressing what he considers a different idea of beauty. His organic forms reflect an era of constantly changing values. Gaetano Pesce exploits both new materials and the major evolutions of our time. His works, embodying the exuberant creativity of Italian Design, can be found in numerous international museums – notably the MoMA and Metropolitan Museum in New York, the Victoria & Albert Museum in London and the Pompidou Centre in Paris. Unique Works & Projects Works on show will include furniture, lighting and drawings, most of them unique. Visitors will be greeted by a monumental wooden version of Pesce’s hallmark UP-5 or UP-6 Mama chair, edited by B§B Italia: the first of his objects to bear a political message, commenting on the female condition. Another iconic piece is his 1970 Moloch lamp – a Design staple transformed into a sort of Lighting Monster by virtue of its outsize dimensions. Furniture on display will include his symbolically named Samson and Delilah tables, which play on imperfections linked to their manufacture process and also have more than one function. Several pieces illustrate the new glass techniques Gaetano Pesce pioneered at CIRVA (International Centre for Research on Glass & the Visual Arts) in Marseille between 1988-92: Trastevere, L’Heure de Point and Bauta. The exhibition also features models and preparatory drawings for objects, furniture and housing projects.